Yarn Type SALE 29% OFF! Inspired by the timeless landscape, sea and sky of the ancient Faroe Isles. 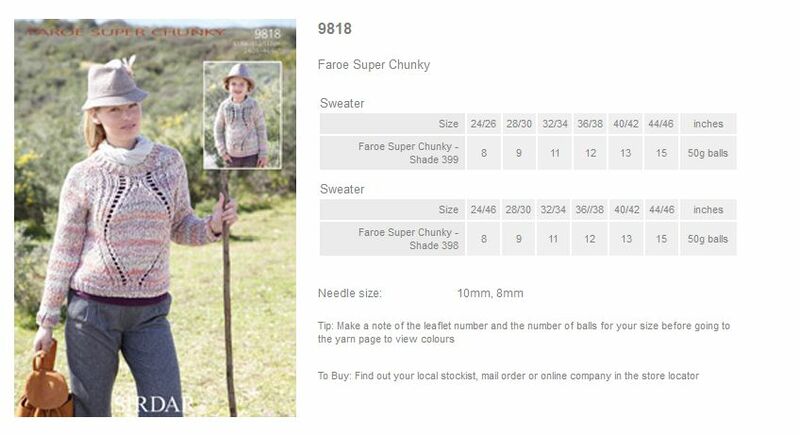 It comes in a blend of naturally light and cosy wool, cotton and acrylic designed to keep you warm. 60% Acrylic, 25% Cotton, 15% Wool. Machine Washable/wool cycle. 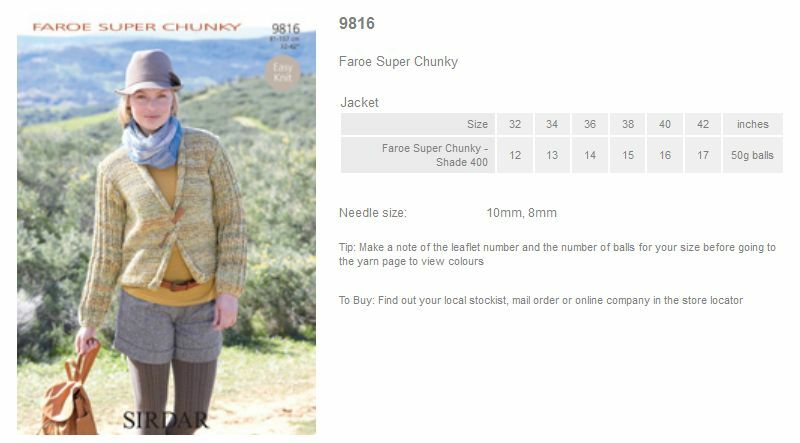 Leaflet with designs for a Jacket using Sirdar Faroe Super Chunky. 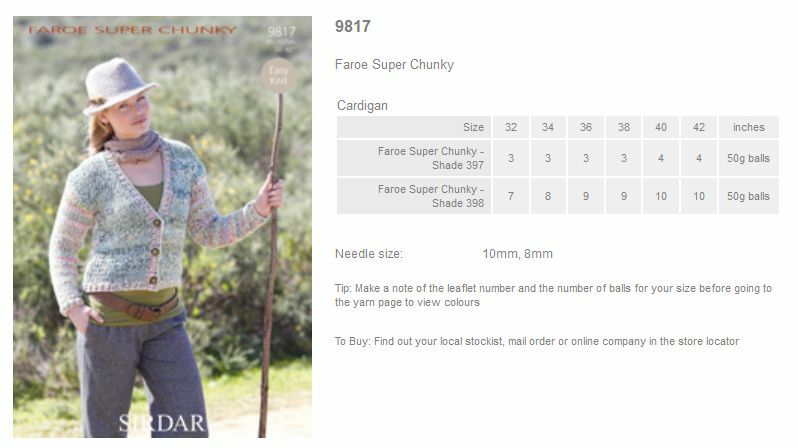 Leaflet with designs for a Cardigan using Sirdar Faroe Super Chunky. 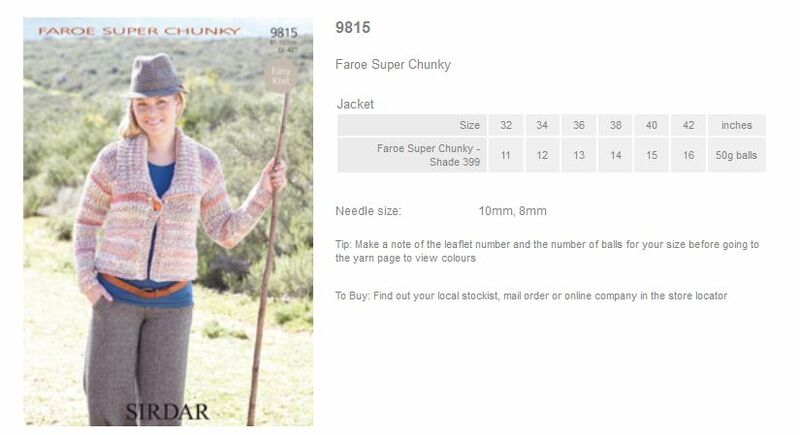 Leaflet with designs for Sweaters using Sirdar Faroe Super Chunky.